Effective on June 1, 2015, chemical manufacturers, importers, distributors and employers have to comply with a universal approach to classifying chemicals and communicating hazard information on labels and safety data sheets. Every label must include the following requirements: a signal word, pictogram, hazard statement, and precautionary statement for each hazard class and category. Beginning in December of this year, distributors may not ship improperly labeled containers from chemical manufacturers or importers. OSHA’s decision to align its Hazard Communication Standard with the global standard brings many benefits. For workers, the new chemical product labelling will better protect them from hazardous materials. For American businesses, there will be fewer trade barriers and improved productivity, especially for the companies that regularly deal with hazardous chemicals. Lastly, because American businesses no longer need to periodically update safety data sheets and labels covered under the standard, they can expect to save millions of dollars each year. 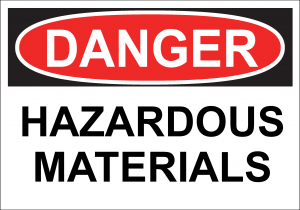 To learn more about the new hazard communication requirements and the implications they have on hazard classifications, labels, safety data sheets and training, please visit OSHA’s Hazard Communication webpage. Also, feel free to call PureWay at 877-765-3030 or visit our PureWay Store to learn more about all of our OSHA and Infection Control Compliance Solutions.